Short interviews with myself and Peter Sunde, on VilaWeb, a web.tv from Barcelona. The interview itself is in English. 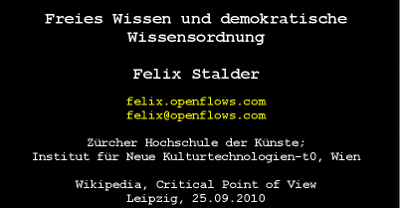 Parlem del cànon i dels nous models de negoci en l'era digital amb Felix Stalder i Peter Sunde, que han pres part en el Fòrum d'Accés a la Cultura a l'era digital, congregat a l'Arts Santa Mònica de Barcelona. I spent the last few days at the Free Culture Forum in Barcelona, which was focusing on sustainability of free culture. One of the main themes of the discussion was the culture flatrate and the collecting societies. In part because the main organizer of the forum, exgae, is in a high-stakes fight with the Spanish collecting society, sgae. In part, because the notion of a culture flatrate appears to be gaining some ground politically. I use the qualifier 'appears' on purpose, because I haven't seen it at all, but others, who are more deeply plugged into the back channels of the policy process, are saying so. The discussion, though, was rather unproductive, confusing and exhausting, mainly because the two concepts are mutually exclusive. Free Culture, in its most basic notion, is about the resources and rights available to every individual to make a contribution of his or her choosing to culture (a distributed system of meaning) and to communicate the activities to anybody he or she wishes to. It is a transformative view of culture were the input and output of the productive process are not categorically distinct, implying that existing cultural artifacts and processes are part of the resources available to everyone. I spent last weekend at a small conference in Leipzig, organized by Johanna Niesyto, Geert Lovink and others, called Wikipedia: Der Kritische Standpunkt (A critical point of view) , which brought together researchers studying Wikipedia and 'Wikipedians', mainly admins and high-ranking editors. What follows relates mainly to the German language Wikipedia, but I assume some issues are similar in other large Wikipedia, not the least the English language one. What came to the fore, at least for me, was that the 'inner circle' -- foundation people, admins and high-ranking editors who take responsibility for the project as a whole -- are feeling increasingly beleaguered by hordes of people who are either a) ignorant/stupid and thus have nothing to contribute b) hostile trolls out to cause troubles c) people who only criticize yet will do no actual work. In many ways, this is an understandable feeling, after all, running Wikipedia is a major thing, time and man power are always scarce and the pressures from the public are high. Any significant misktake, and it's front page news within hours. Yet, there are no clear procedures how to handle many of the tasks (e.g. when to block editing an entry). This is all not terribly surprising, given the exponential growth of the last couple of years and the need to create policies and procedures on an ad-hoc basis.. But it leads to a shift in what this project is about. 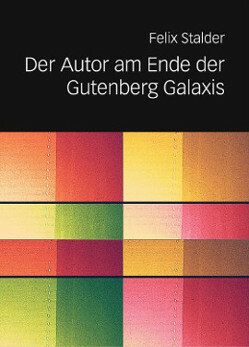 Die vier Freiheiten der GPL (GNU General Public License) gelten als das Kriterium für Freiheit oder Unfreiheit von Information. Diese enge, auf reine Verfügbarkeit von Information fokussierende Definition sagt jedoch wenig über die sozialen und politischen Dimensionen der Systeme aus, die diese freien Informationen zur Verfügung stellen. Meine Ausführungen fokussieren auf den Unterschied zwischen einem engen Verständnis von freien Wissen und einer erweiterten Konzeption einer demokratischen Wissensordnung. Letztere geht über die Verfügbarkeit hinaus und berücksichtigt auch die Prozesse und Ziele der Wissensgenerierung. Zwei Ebenen rücken dadurch ins Zentrum der Analyse. 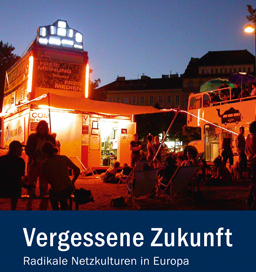 Zum einen die organisatorische Struktur der Plattform, auf der das Wissen zusammengefügt wird, zum anderen die interne Dynamik der Gemeinschaft, die das Wissen schafft und erhält. Auf der ersten Ebene ist Wikipedia ausgesprochen innovativ, auf der zweiten Ebene ist Wikipedia immer wieder der Gefahr ausgesetzt, club-artigen Schließungstendenzen anheim zu fallen. Update: Stefan Merten has written a pretty good English summary of the first session of the conference, which also includes detailed comments on my talk. If you want details. 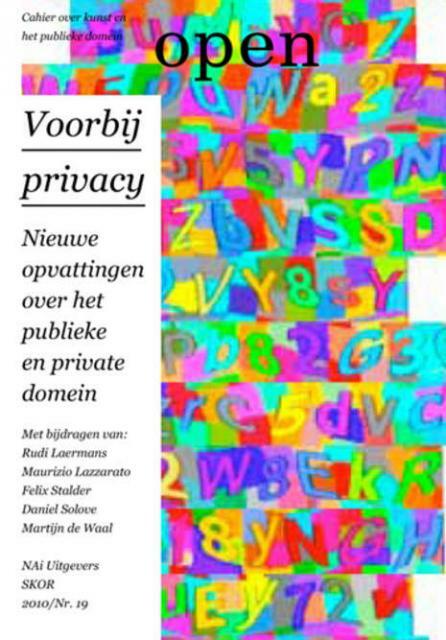 Researcher Felix Stalder analyses the loss of the key role of the concept of privacy. Privacy long secured the balance between the control of institutions and the autonomy of the citizen. Today, with institutions aiming more and more to provide customized services and the autonomy of both citizens and institutions changing, this role is disappearing, making the danger of an increase in control and power a realistic one. 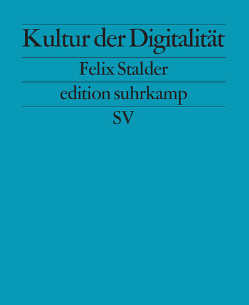 To turn the tide, Stalder argues for a greater transparency of the back-end protocols, algorithms and procedures of the new, flexible bureaucracies. One way to characterize Western modernity, the period we are just leaving, is by its particular structure of control and autonomy. It emerged as the result of two historic developments – one leading to large, hierarchic bureaucracies as the dominant form of organization, the other to the (bourgeois, male) citizen as the main political subject. Privacy played a key role in maintaining a balance between the two. Today, this arrangement is unravelling. In the process, privacy loses (some of) its social functions. Post-privacy, then, points to a transformation in how people create autonomy and how control permeates their lives. Das Urheberrecht ist alt geworden. 300 Jahre alt. Die World Intellectual Property Organisation (WIPO) hat den 26. April zum Welttag des Geistigen Eigentums ausgerufen. Das dem Urheberrecht verwandte Copyright erlebt zudem heuer den dreihundersten Jahrestag seiner Konstitution. Doch viel zu feiern gibt es nicht. Das Urheberrecht wird immer ambivalenter, da es sich heute weniger um ein Urheber- sondern mehr um ein Industrierecht handelt. 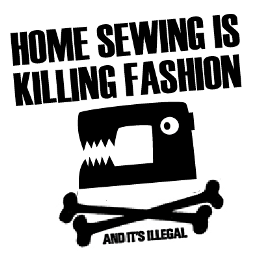 Es dient weniger denn den Interessen der Kreativen, sondern denen der verwertenden Industrie, deren Lobbies immer stärker die Entwicklung der Gesetze bestimmen. Die dadurch ausgelöste Dynamik ist fatal. Abgesehen von wenigen Stars, verhilft das Urheberrecht KünstlerInnen kaum zu relevantem Einkommen. Die Musikerin Courtney Love fasste auf der Digital Hollywood Online Entertainment Conference das Problem folgendermaßen zusammen: „Heute möchte ich über Piraterie sprechen. Was ist Piraterie? Piraterie ist der Diebstahl künstlerischer Arbeit ohne dafür bezahlen zu wollen. Ich spreche hier nicht von napsterähnlicher Software. Ich spreche über die Verträge der Major Labels.“ Aber nicht nur bei der Vergütung der KünstlerInnen hapert es, auch in der kulturellen Produktion selbst, stellt das Urheberecht immer größere Hürden dar. Das reicht vom Dokumentarfilm wo Aufnahmen nicht nutzbar sind, weil die Hintergrundmusik aus dem Radio eruiert und lizenziert werden müsste, bis zur breiten Masse der InternetnutzerInnen, deren alltägliches Samplen und Remixen jederzeit zu Strafverfolgung führen kann. Originally written for the nettime-l mailing list which lead to a follow-up discussion, here, and here. In early 2007, Steve Jobs (of all people!) concluded in his 'Thoughts on Music' that "DRMs haven’t worked, and may never work. 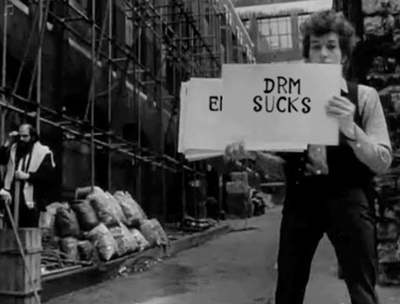 "1 Soon after, one label after the other started selling music in "unstricted"2 formats, and there was much celebration about the death of DRM. And, there were lots of reasons see things this way: Digital Rights Management Systems were very unpopular with the public. People hated them. Plain and simple. And they were technically unstable, because the encryption, once released to the public, was regularly broken within a few days. And attempts to re-engineer the entire computer operating system to make DRM possible -- Windows Vista -- turned out be be equally unpopular and fraught with internal problems. Fast-forward three years. Increasingly, our data is up in the clouds. The decentralized architectures for digital production of the 1990s are being phased-out. Google is pushing an operating system (Chrome) were all data is being stored online and virtually nothing remains on the computer. The device which individuals own is being reduced to a relatively dumb terminal. The apple IPad, it seems, is optimized for consumption (and thus hailed as the savior of the old, consumer oriented media industries). We want to bring to the attention of English readers some currents of economic theory and practice that have flourished in non-Anglophone countries over the last two decades, particularly in France, Brazil, Hispanic America and Scandinavia. To these we have added significanst work by English-speaking authors that was sidelined during neoliberalism‟s heyday and deserves to find a wider audience now. We have brought these strands of new thinking together under the umbrella concept of “the human economy” which refers to an emphasis both on what people do for themselves and on the need to find ways forward that must involve all humanity somehow. 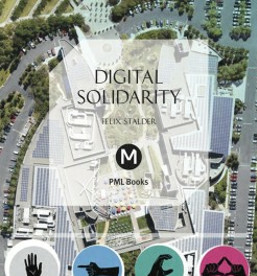 The digital commons comprises informational resources created and shared within voluntary communities of varying size and interests. These resources are typically held de facto as communal, rather than private or public (i.e. state) property. Management of the resource is characteristically oriented towards use within the community, rather than exchange in the market. As a result, separation between producers and consumers is minimal in the digital commons.